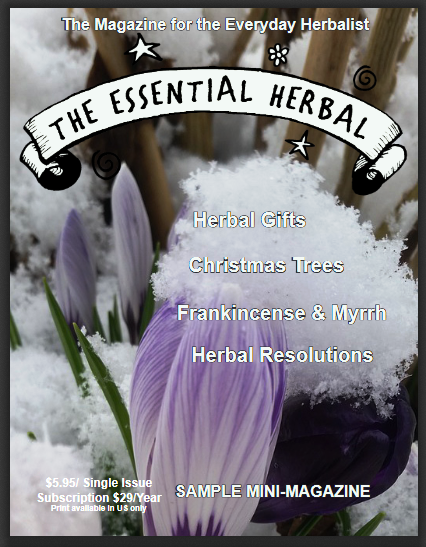 We gathered up some ideas from over the years of The Essential Herbal Magazine. 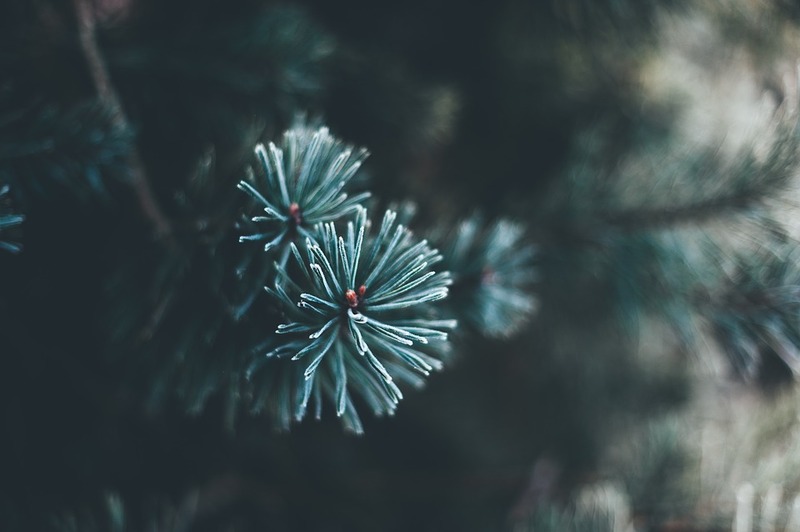 If you have a nice, natural tree, keep some of the needles and use them for something to use, or keep and remember until next year! If you have a pine-phobic in your household here is a great way to make them more pine friendly by seeing the benefits of pine. 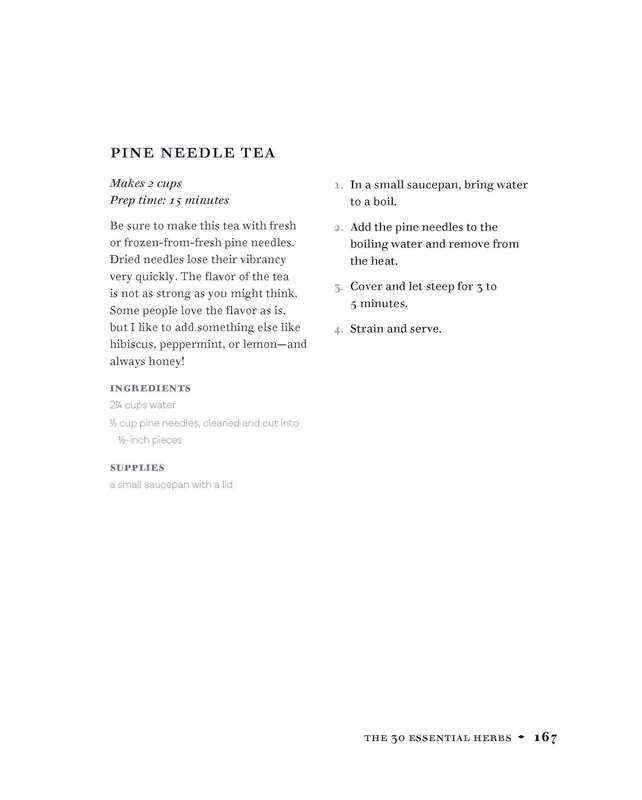 I will start with tea you can make with Balsam Fir needles. Use a heaping teaspoon of fir needles and rose hips in a large mug and cover with water (about 8 to 10 ounces.) Allow to steep for 10 minutes and sweeten with honey. This tea will relieve congestion, if you drink 2 to 3 mugs of it during a day. If you want to ease congestion but do not enjoy the flavor of pine, you can make a balsam steam too. Add a cup of two of snipped fresh needles to a pan of water and bring to a simmer. Drape a towel over your head and lean over the pan inhaling the steam for several minutes. 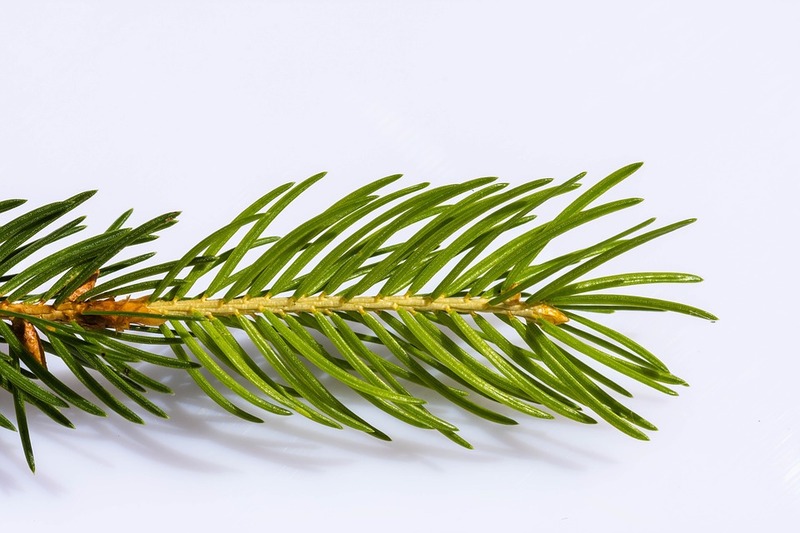 If you enjoy the scent of pine, you can make hot pads stuffed with needles. Cut a square of cloth about 6 to 8 inches square. Sew three sides and place some wool or 100% cotton batting inside. Add ½ cup pine needles to the hot pad. Sew the final side closed, then stitch or quilt the center of the hot pad to keep the needles from bunching up together. You can also make these recipes to give as a gift during the winter season. This is a blend of herbs and pine I have been making since early in my business. It is great for relieving aches and pains, especially those from decorating the house! Combine all the herbs and salts, then add the essential oil. 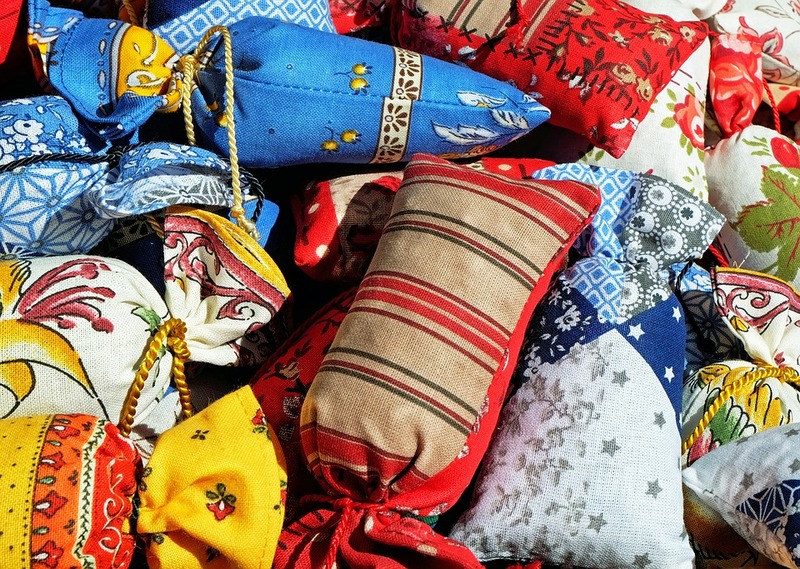 Place the materials in a muslin bag or a square of cloth tied with string. To use: Hang the bag below the tap and allow water to run through and dissolve the salts, releasing the herbal oils. Soak until the water cools and begin to feel the healing. Pine resin, also commonly known Pine pitch or sap, has antibacterial properties and can be used fresh from the tree or melted into a salve base for treating wounds, sores and insect bites. 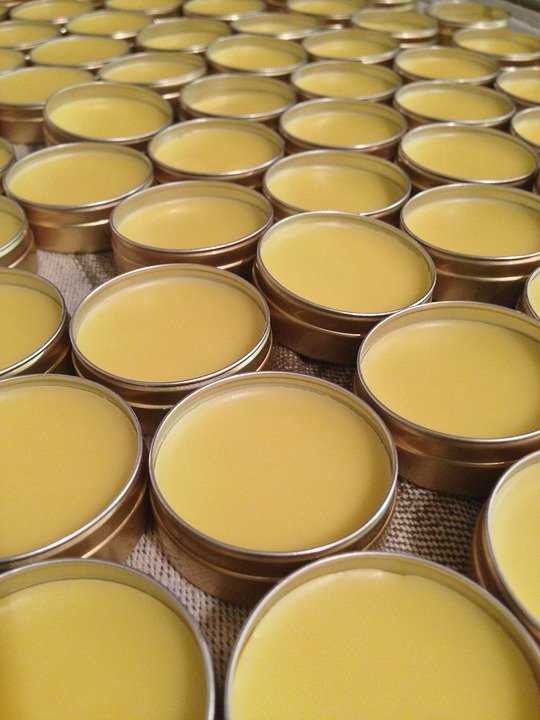 Native Americans mixed the pitch with tallow to make a salve, which they applied on wounds caused by splinters, boils and external ulcers. 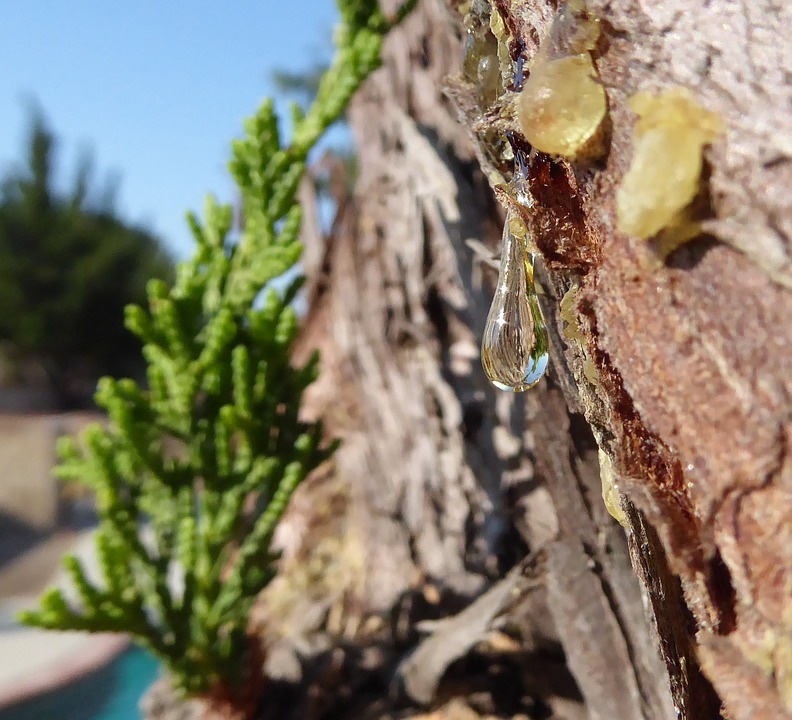 Pine resin is very drawing and can help remove splinters, glass slivers and other imbedded material from the flesh. The resin can also be tinctured and great for treating colds, coughs and bronchitis by using 5-10 drops at a time. 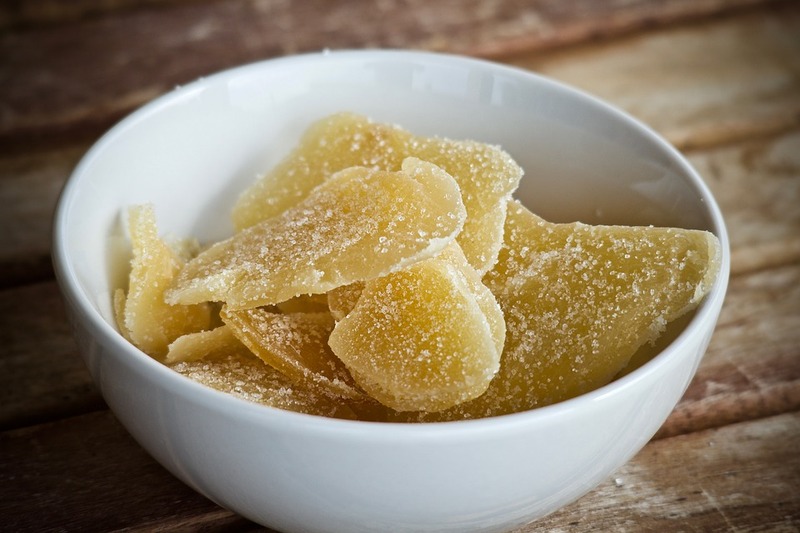 Resin is often chewed to soothe a sore throat or persistent cough. The resin can also be applied directly to wounds and cuts as an antiseptic band-aid, making it a great wilderness first aid plant to know. The resin will keep out germs while facilitating healing and easing pain. 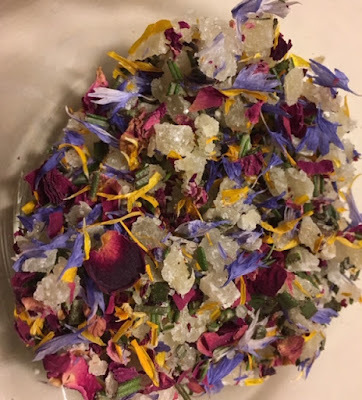 Infusing the resin into oil creates a healing oil for soothing sciatica pain and sore muscles, as a chest rub for respiratory complaints and on skin conditions such as eczema and psoriasis. The oil can also be massaged onto sprains and strains, bruises and rheumatic conditions. 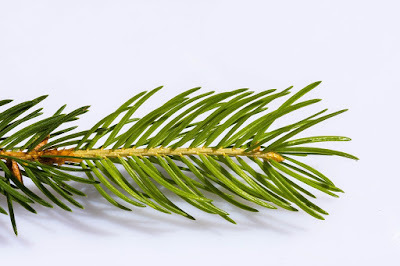 I like to take my pine and cedar needles infuse in Olive oil for about 4 weeks and make my, Winter Tree Balm. 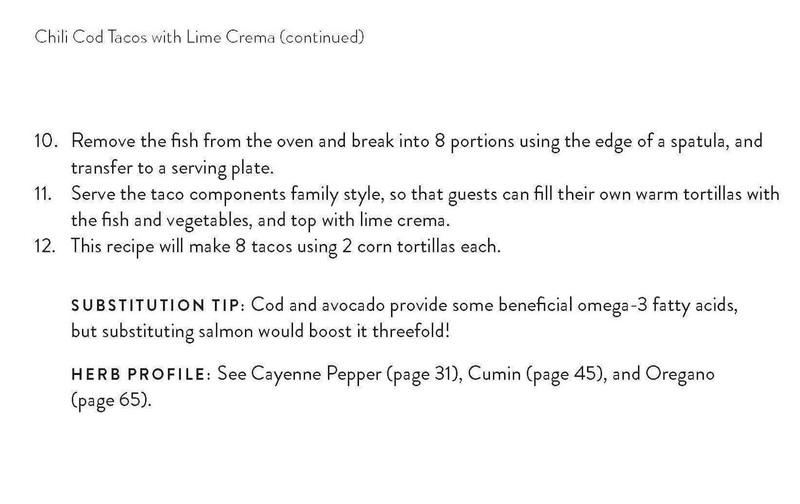 You can also heat infuse on low for 2 days, (no higher than 120 degrees on and off in a crockpot). Fill a jar with as much needles as possible. You must make sure that there is no moisture on the needles. A dry/warm day is best to strip the branches. Then fill with the olive oil. You will use this as your base and add enough beeswax to make a salve or balm. 1.5 cups of oil to 2 oz of Beeswax. Use a double boiler or make one with a Pyrex measuring cup in a pan of water. Place measuring cup in water and heat until wax is melted. Pour into clean jar to cool. ***Women who are pregnant or trying to become pregnant should not consume ANY pine. And, as always, make sure no herbicides have been used on your tree. My favorite needles for these are Balsam Fir and Concolor Fir. They both have outstanding scents. 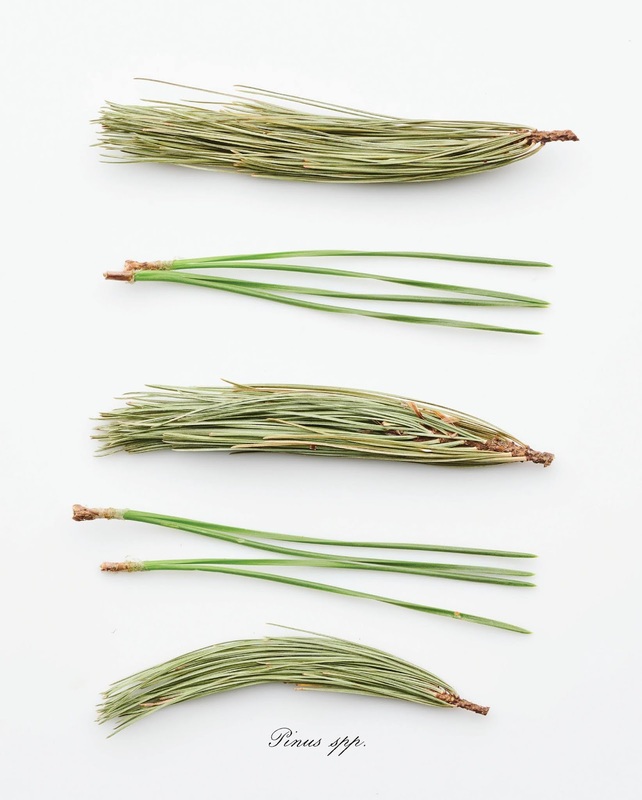 Gather the needles off the branches, and lay them loosely in a box or basket so they have a chance to dry. For a pillow, you'll want to make it very full and taut, and the scent will last for a very long time. My sister took a trip to Maine as a girl scout (a couple score ago, and I still remember!) and brought home a balsam fir pillow made with a sturdy off white fabric, with a picture of fir stamped on it. I coveted that relaxing and beautiful pillow! Fill a jar with chopped needles, and cover with vinegar. Allow to steep for several weeks. Strain and use in any way you'd use a culinary vinegar. Follow the instructions for Confetti Shortbread but swap pine needles for the rosemary and flowers. If you have a pine tree cookie cutter, wouldn't that be perfect? I've done this in the past with white pine - which are shorter than those shown in the video White pine needles are about 4 to 5". It's fun! This is a basket I made several years ago NOT using good directions. There are lots of ways to use them outside, too. Whole trees can be used as a shelter for wildlife or chipped up to be used as a mulch. Our municipality will mulch trees for several weeks after the holidays are over, and then allow people to pick up seasoned mulch in the spring. Please note: It's very easy to be confused about hemlock, because there are two very different plants. Poison hemlock (Conium maculatum), is a poisonous herb in the carrot family that bears a striking resemblance to Queen Anne's Lace, and hemlock (Tsuga canadensis) the native North American tree in the pine family which grows widely here in the eastern US and Canada, and is the state tree of my home state, Pennsylvania. It's always good to know what you're getting into before plunking down the bucks, right? Well, I'm going to share a little taste of each book below. Links to pre-order (Jan 15 release) at the end of the post! 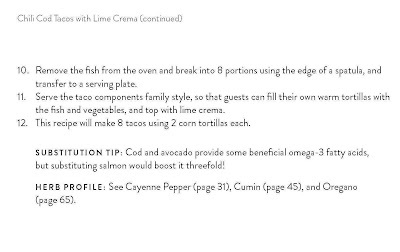 This is a BONUS Recipe. 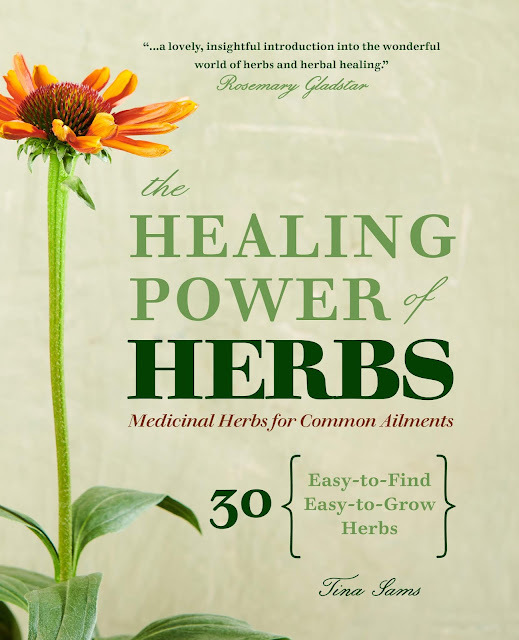 It is not in the new book The Healing Power of Herbs, but you will learn many things like this. See below for ordering information. The book will be released January 15th. Also, there are 5 ingredients although I say 4 in the video. Use about 1/4 to 1/2 cup per bath. My usual rambling thoughts on a handful of things. Jenel Schaffer provided a dreamy watercolor, featuring the herb of the year – Anise Hyssop. 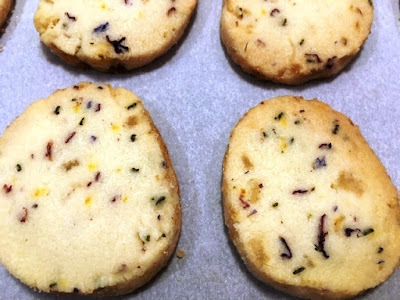 We include a recipe for shortbread and tea! Lots of different ways to keep the old bones from creaking, and help us stay active and vital as we age. Learn about this winter beauty, and how to make Witch Hazel Water. TONS of info on this lovely medicinally active mushroom. How-to’s for many preparations and how to use it as a dye. 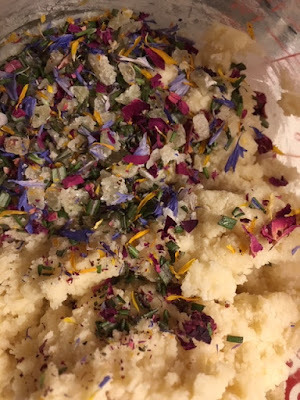 Lavender, Peppermint, Borage, German Chamomile, and Lemon Balm are discussed. 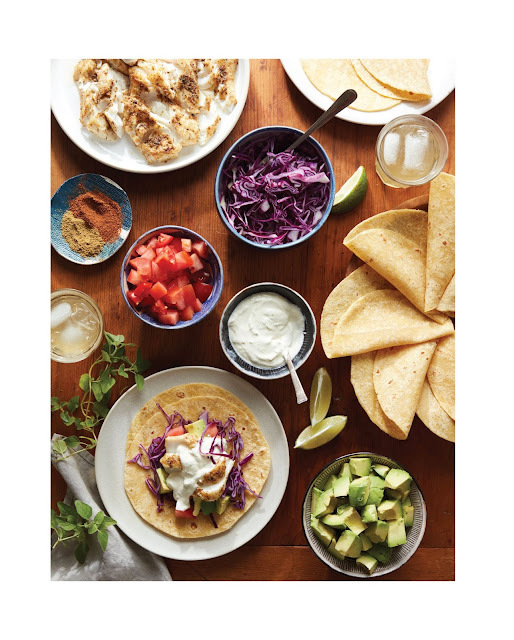 Loads of recipes, like aioli, lip balm, dressing, and more! What do you want to plant? Where will you put it? What will you use them for? So many things to think about. There’s a sweet illustration included to inspire you. Did you know the difference between an American scone and a British scone? You will! And you’ll have several delicious sweet and savory recipes to try. Herb of the Year for 2019 is Anise Hyssop, of the Agastache genus. other agastaches that are briefly covered. What are adaptogens? How and why should we include them in our foods, teas, and supplements? There are so many ways that the conifers come to our assistance in the winter time. We can also make salves and various preparations to take us through the year. If you don’t know your carnauba from your candelilla, this is for you! Mmmm… warming spices. After we read about them, we can go on to make several fabulous blends. A very cute decorating idea. Lots and lots of information here. 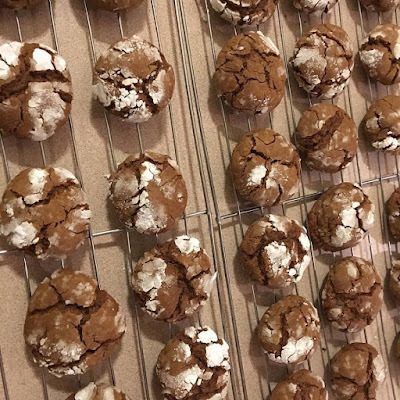 Everyone loves cookies, and they're a real downfall for me, but making them to give away helps. Making small batches helps even more. I've made 6 little batches this week, and they almost all made it to the freezer. 2 of the batches were recipes that I sort of made up, taking guidance from 6 or 8 recipes I found online, and using the parts I liked. They both turned out dangerously delicious. This turned out to be the perfect quantities of rosemary and ginger without either being overwhelming. Delicate and buttery, they had to be packed away as soon as they were cool! Cream together sugar and room temperature butter til fluffy. 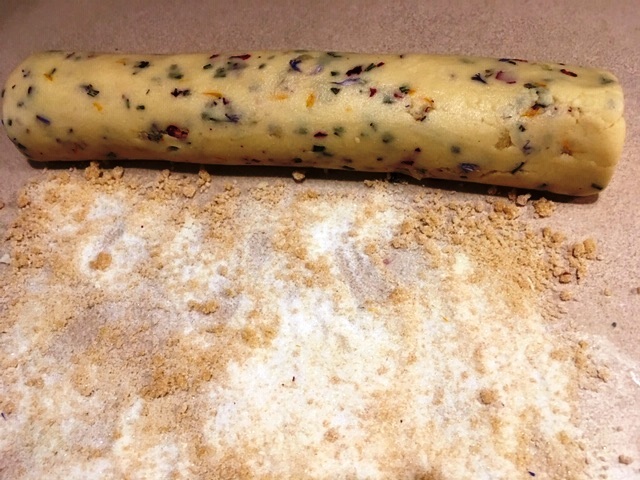 Form the dough into a 2" diameter log. Slice 1/4" thick, and place on parchment lined cookie sheets 1" apart. Bake for 20 - 25 minutes, until just barely browned. Turn the pan halfway through to insure even cooking. A week earlier, I dug around recipes to use cacao nibs and dark cocoa powder - both of which I had "laying around," and ginger. 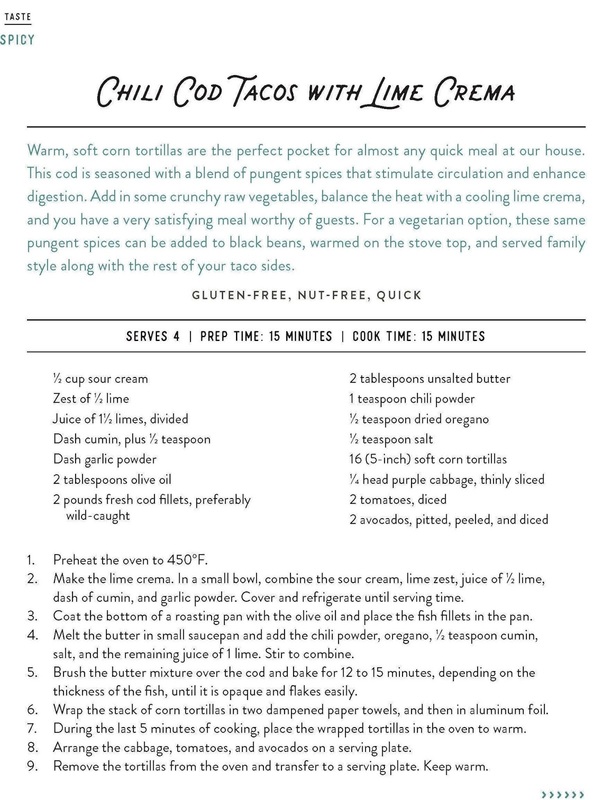 I came up with this recipe, with those two ingredients added. It was good - but I like it better without the chocolate. You might want to add a tablespoon of each to try that! These are crisp on the outside and chewy on the inside. The perfect ginger cookie in my mind! 1/2 c or so confectioners sugar for rolling. Cream butter and sugar together. I use a processor. Chill dough for an hour or so. Roll into 1' balls. 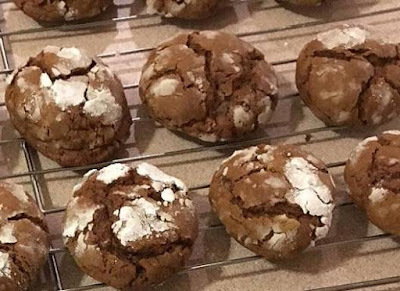 Roll those in the confectioner's sugar and place 2" apart on an ungreased cookie sheet, or preferably on parchment. Bake about 10 minutes, til the tops are cracked. These are both recipes that will be made again! 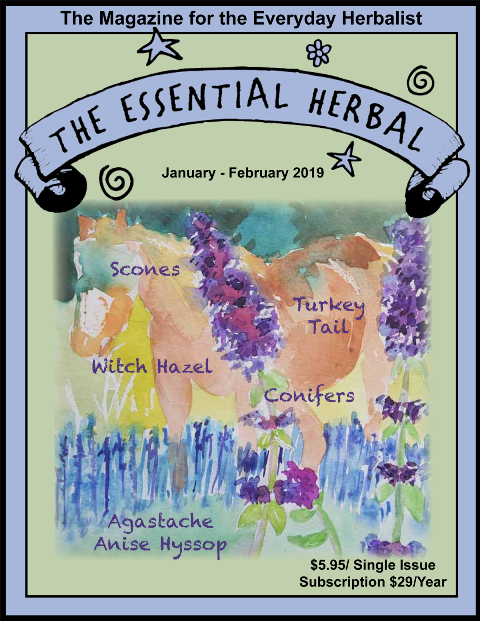 Here are several jam-packed pages with info, recipes, and herbal crafting for the winter months. It will give you a good idea of what our magazine is like. The Essential Herbal is print in the US only, pdf is available everywhere. ... and quite a bit more! 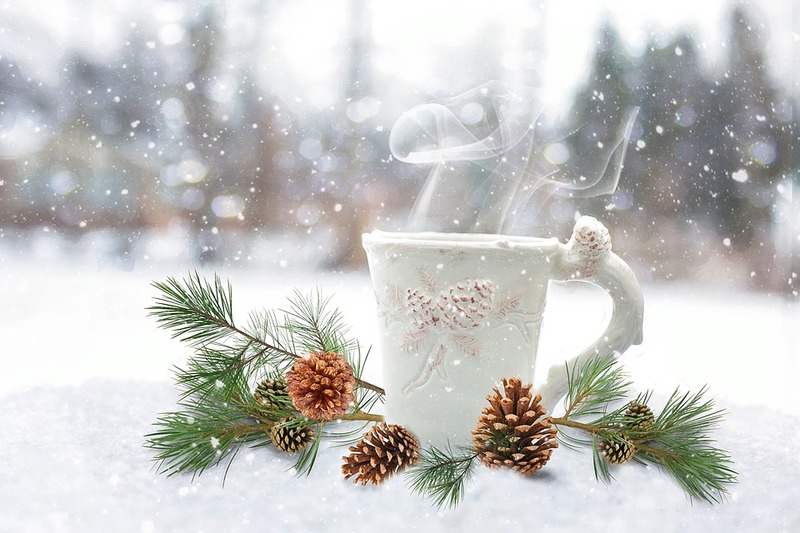 Take a few minutes out of this busy season, grab a cup of tea, cocoa, or eggnog, and enjoy these pages. ANNOUNCING - 2 great new herb books! I'm so excited to announce that both I and my friend Susan Hess (from The Stillroom at Pitch Pines) each have a new book coming out! 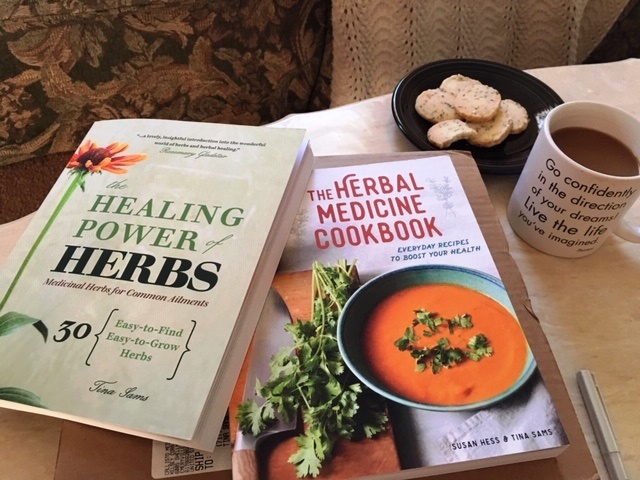 My book is called The Healing Power of Herbs and I'm always so happy to share the joy of working with herbs and hope to inspire confidence in those just beginning their herbal journey. Those of you who have been magazine subscribers over the years know that this is the most important thing I do. In addition to a primer of herbal preparations, the book covers 30 important herbs, and offers over 60 simple,interesting, and helpful ways to use each one of them. 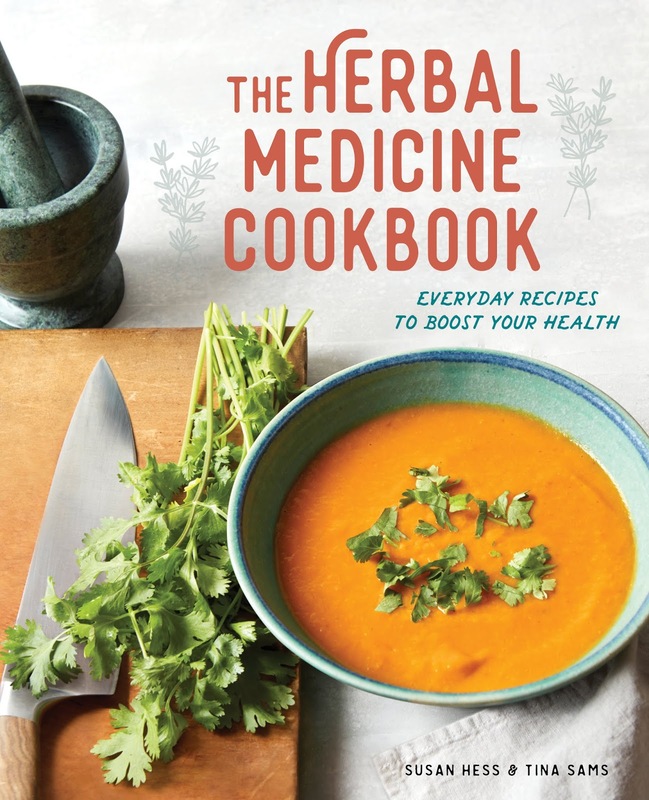 Its sister book by Susan Hess is called The Herbal Medicine Cookbook. 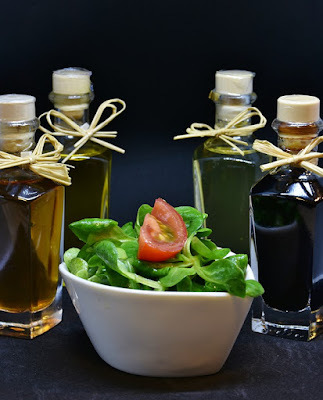 It is brimming with information and delicious, healing dishes and meals that help to support vitality and health. I was thrilled to do some background work on the book. 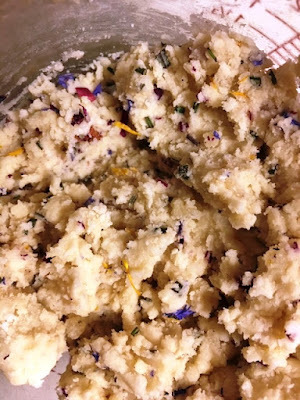 During her years as a trained therapeutic herbalist, she has fed many of these dishes to her students during her Homestead Herbalism courses. Some of you may remember posts from Molly while she enjoyed taking Susan's class series. Now we can make these foods at home with the teachings that go with them included. These two books (together or separate) are great resources for any herbalist to have in his or her library. Stick around as I share some helpful sneak peeks from each book over the coming weeks. I can't wait to share all this great information with you! They'll be available January 15th. Do something for yourself, or for someone you love. These books will be referred to again and again! Gingerbread seems to be a staple of the holiday, but it is not one of my favorite things. In fact I do not even like making gingerbread houses! 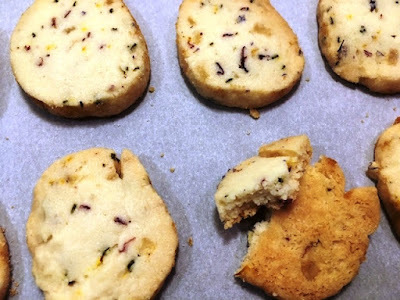 I know sacrilegious, but I do like ginger and I love this great recipe for shortbread that uses crystallized ginger that will bring the flavor of the holiday to a traditional tea treat. Sift together the flour, ground ginger, and salt. Rub in the butter and stir in the sugar. 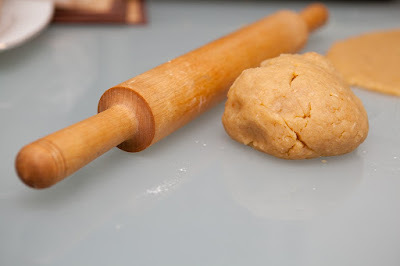 Mix in the honey and chopped crystallized ginger and form into stiff dough. Knead lightly in the bowl. Halve the dough and roll out each piece on a lightly floured board to make an 8-inch circle. Score wedges into the shortbread with a sharp knife and prick the top with a fork. Bake at 325 degrees for 15 to 20 minutes, until crisp and golden around the edges. Sprinkle with a bit of confectioners sugar and leave to cool slightly before breaking apart and allowing to cool completely.